"Doctor” John Marsh was an early pioneer and one of the first American settlers in Old California. His life is controversial in that some say he was a fraud, a man who cheated others out of property and wages, a man who was nothing but an opportunist, a man who is known to have helped start an Indian war. Others claim he was none of the above. They instead say he was a trail blazer and an American hero. He was born in 1799 in South Danvers, Massachusetts. He is said to have graduated from Harvard University with a Bachelor of Science degree. Some say his degree was in "Education". But then again, it appears no one really knows what area of study he received his degree in. As far as his being a "Doctor?" It's believed that he studied medicine with a Boston doctor at one point in his life, but I can't verify that actually took place. As for his being a "trail blazer"? After Boston, he left for the Michigan Territory where he is said to have opened what many believe is the first school in what is now Minnesota. A short while after his involvement with the school, he then became an Indian Agent for the Sioux Agency in that area. It is said that he even took a French-Indian woman as his wife. Though he called the woman his "wife," it is believed they were never married. And though that was the case, she gave birth to a son that they named Charles. For some reason, maybe a real interest of medicine, he supposedly befriended a Dr. Purcell in Fort Snelling. He supposedly learned medicine from me during their association. Then after leaving Minnesota, he got involved in the Black Hawk War between the Sioux and their rivals the Fox and Sauk tribes in Wisconsin. Because of his involvement with those tribes, Marsh was actually blamed for a massacre of the Fox and Sauk tribes by the Sioux. And as a result of his part in what took place, he fled the area and headed for Illinois. In the process, he abandoned his "wife" who said to be again pregnant. And yes, there is a story about how she tried to walk a hundred miles to rejoin him. It is said that journey was too much for her. She and her child died in childbirth. John Marsh decided to give his small son Charles to a family in Illinois to raise. And surprisingly, it's said that he once again he became involved in Indian affairs. It was noted throughout the frontier that Indian agents were among the most crooked people that could be found. Agents were notorious for stealing goods such as food and clothing, and then selling it elsewhere for a profit. Agents were so notoriously crooked that they starved many tribes. Definitely not one above making a dishonest dollar, the people there soon discovered that Marsh was also selling guns illegally to the Indians. So again he fled the territory, but this time he settled in Independence, Missouri, where it's said he became a merchant of some sort. Selling food and goods meant for Indians in his care? Being responsible for a massacre? Selling guns to Indians? Abandoning his "wife" and child? He sounds like the type of man who was one step ahead of a hangman's noose and short drop. His business in Independence, Missouri, went under in 1836. From there he joined the American Fur Company and traveled to Santa Fe, New Mexico. Through the American Fur Company, Marsh made his way to Southern California via the Santa Fe Trail. In Southern California, John Marsh found that he was the only person who had any knowledge of Western medicine. So yes, he passed himself off as a "doctor." He even went so far as to present his Harvard degree to the local Mexican Government of Alta California. Since the degree was written in Latin, which none of the authorities there could read, they took his word and granted him permission to practice medicine. Imagine that! Thought many so-called "doctors" of the time did not have Medical Degrees, this was a heck of a scam. As "Doctor" John Marsh, he was quite successful in his new profession. Although it's said that his prices were very high. In fact it's said that he gouged his clients, sometimes he'd even charge as much as a single head of cattle to deliver a child. Nevertheless, believe it or not, John Marsh is credited as being the first person to practice Western Medicine in California. Not surprisingly, he eventually made many enemies in Southern California and fled to Northern California in 1837, He settled there on the eastern side of Mount Diablo in what is now Contra Costa County. There in 1838, he acquired the Rancho Los Meganos Mexican land grant from Jose Noriega on what is now called Marsh Creek on the western edge of the town of Brentwood. This time though, he finally prospered. Yes, in spite of once again engaging in shady business practices of again charging higher than normal prices for routine medicine. And yes, as for historical firsts, he may have been the first doctor in California known for gouging his patients. Some say that he wasn't all bad as he actually cared for some of the survivors of the Donner Party while living near Mount Diablo, but I haven't been able to verify this. It is known that his shady business dealings resulted in Marsh actually acquired tens of thousands of head of cattle. He is said to have lived the life of a wealthy Californio. In addition to his shady businesses dealings, he paid very low wages to his workers. He was in fact also known to have preformed corporal punishment on with either whip or lash when he felt crimes had been committed on his ranch. And yes, many of his workers, especially the Vaqueros, hated him. It is said, that in 1841 when the first American emigrant party, the Bartleson-Bidwell Party arrived in California that "Doctor" Marsh invited them to be his guests. That is said to be the reason that the California Trail terminated in Brentwood. 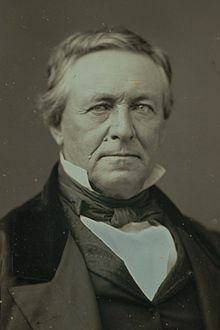 Supposedly he worked behind the scenes to promote American Statehood and in March 1845 wrote a letter signed by himself and 23 other expatriates announcing a clandestine meeting to take place on the Fourth of July. That letter has now been designated as the “Call To Foreigners” by modern historians. While Marsh does not take credit as the author of that letter, most California Historians agree that he wrote it. According to the letter, the purpose of the clandestine meeting was "promote the union and harmony and best interests of all the foreigners resident in California". During this period he began wealthy beyond his imagination, and among other endeavors he actually began a search for his son Charles. And in 1851, the Reverend William W. Smith introduced "Doctor" Marsh to Abigail "Abby" Tuck who was a school teacher from New England. She also served as Principal at a girls school in San Jose. After a brief courtship, yes only two-weeks, they were married. On 12 March 1852, she gave birth to a daughter and they named her Alice. The new family began construction of a magnificent mansion built entirely of stone quarried from the nearby hills. His wife, Abby, chose the location of the home because of the view of the surrounding valley and Mount Diablo which sits just a few miles south of the present city of Brentwood, California. Abby died, however, before their mansion was completed. Marsh ultimately moved into the new place, but he ended up only living in their mansion for about three weeks. So what ever happened to "Doctor" John Marsh? Well he became active in California politics, which should not come to a surprise to anyone that a crook and swindler would enter politics. Then on September 24th, 1856, wealthy politically respected "Doctor" John Marsh began a trip that started on his land in Eastern Contra Costa County and was supposed to end in San Francisco where he was to garner a political appointment of some sort. It is not known exactly what appointment that was, but that doesn't matter because on that day Marsh's luck ran out. On the road between Pacheco and Martinez, California, "Doctor" Marsh was stopped by a few of his employees who wanted to talk to him about their wages that had been withheld from them. 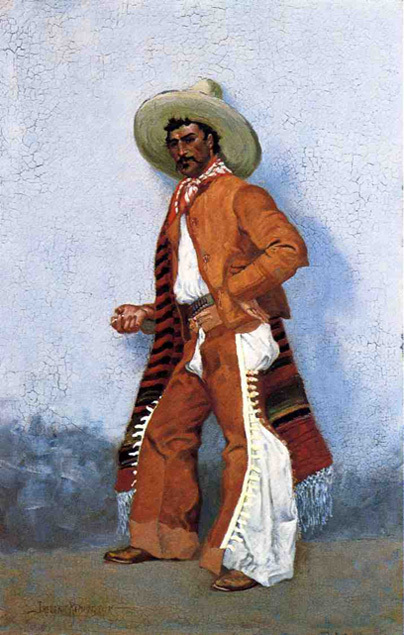 Some say he was actually ambushed, but in either case "Doctor" Marsh was murdered that day by three of his Vaqueros over their disputed wages. Shortly before Marsh's murder, a young man approached his door seeking shelter from a harsh storm. Supposedly it was his son Charles. He had journeyed to California in search of his father, and once there they enjoyed a happy reunion. Legend has it that Charles tracked down his father’s murderer, Felipe Moreno, and brought him to justice. And as for Alice Marsh? Well she was entrusted to the care of others at Marsh’s Landing which is not far from the present day city of Antioch, California. She ended up marrying and staying in the area. Both of the Marsh kids let the Mansion go into disrepair. But then it was picked up and no the Marsh Mansion still stands as part of Cowell Ranch/John Marsh Property State Historic Park. The park has applied for status as a National Historic Monument, why not after all the Marsh Mansion is on the list of National Historic Places. Today, there is Marsh this and that. Believe it or not, there is a California Historical Landmark plague number 722 that still marks the site where "Doctor" John Marsh was murdered. Today, there's also an elementary school in Antioch, California that is named after Doctor John Marsh, and there's a Marsh Road or maybe two, including a Marsh Landing. In fact, California State Route 4 which bypasses the cities of Oakley and Brentwood has been named the John Marsh Heritage Highway in honor of Doctor John Marsh. Imagine that! It's an interesting legacy for a man from Massachusetts who always seemed to be one step ahead of a hangman's noose or a bullet until his luck ran out. Although I am distantly related to Dr. Marsh, contemporary accounts tell of his seemingly unscrupulous character. Mormon diaries tell of them seeding and then harvesting acres of wheat for Marsh on a 50-50 basis, half to them and half to him. But when they asked for their rightful half, Marsh told them that the deer ate their half and there was nothing left for them. They got nothing for all of their work.